Then this Perfect Nylon Dog Harness has been designed specially for working dogs to make their training more effective. It will perfectly distribute the load through the dog’s muscular system. It won’t also bother your dog during intensive training as it isn’t heavy and creates no obstacles for his movements. Buy it and you won’t be disappointed about your purchase! - Quality and functionality. The harness is made of top grade nylon which is safe for your dog, is easier in maintenance and is much cheaper than leather. It won’t provoke any allergic reactions or poison your pet as it contains no toxic or allergic elements. The harness is also of a multifunctional use: your pet can use it during training or walking, sport events or pulling work and many other activities. - Easy in use. 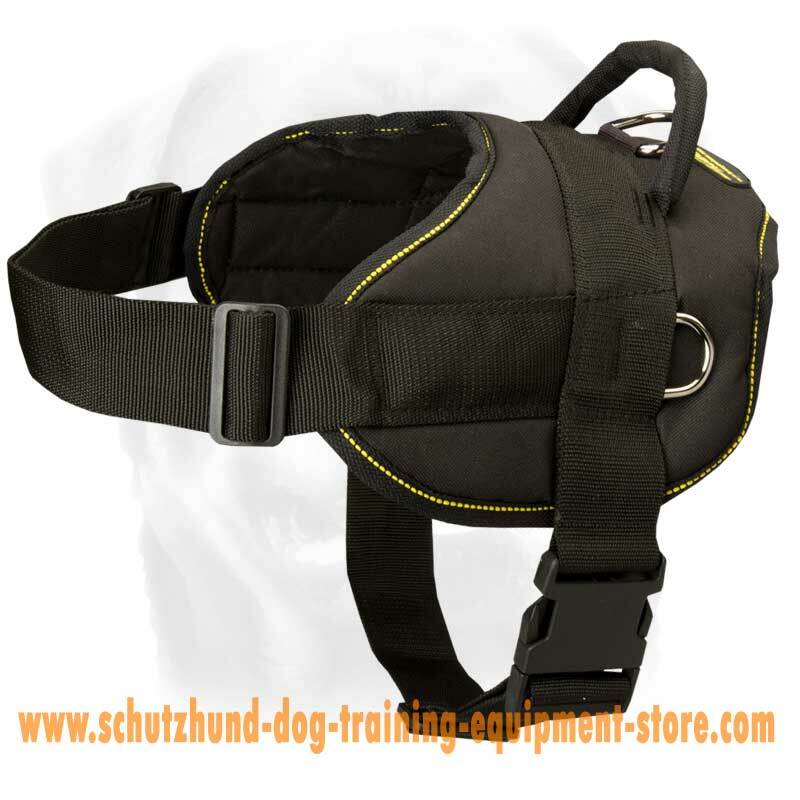 The harness will provide you with necessary level of control and adjustment. It has a special quick release buckle that will allow you to wear the harness on your dog and to take it off him in one click. 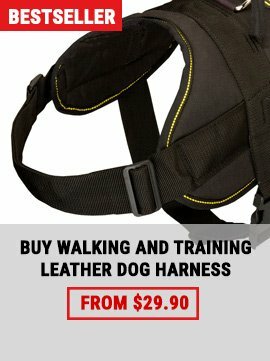 You are also free now from adjusting the harness every time you put it on your dog. And, of course, you can easily control your pet by attaching a leash to a special D-ring on top. - Reliable equipment. 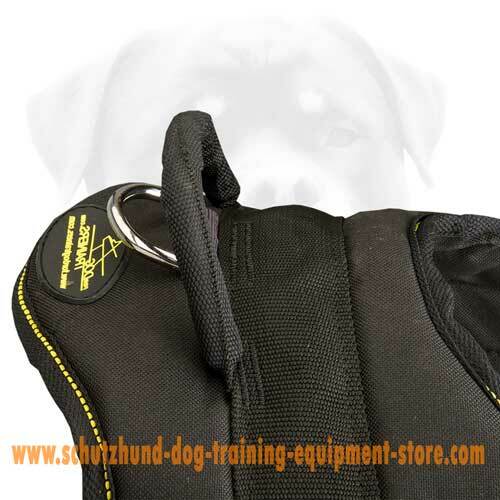 The harness has been specially designed for training purposes. 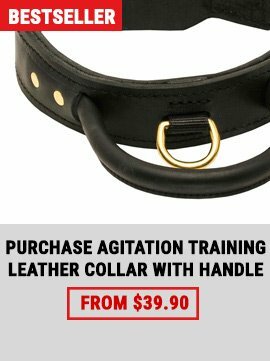 It will help your dog to develop his muscular system and to train his skills effectively. 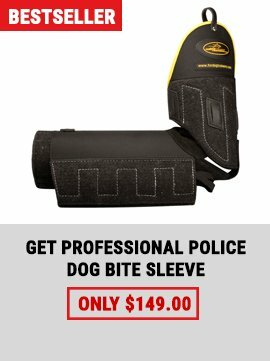 It won’t restrain your dog’s movements because the straps are wide enough. It won’t also cut or damage his skin during intensive training and padded upper part will prevent skin rubbing or irritation.It can also become a perfect equipment for pulling training sessions due to special side rings. By attaching additional cargo to them you will be able to make the results of your dog training better.